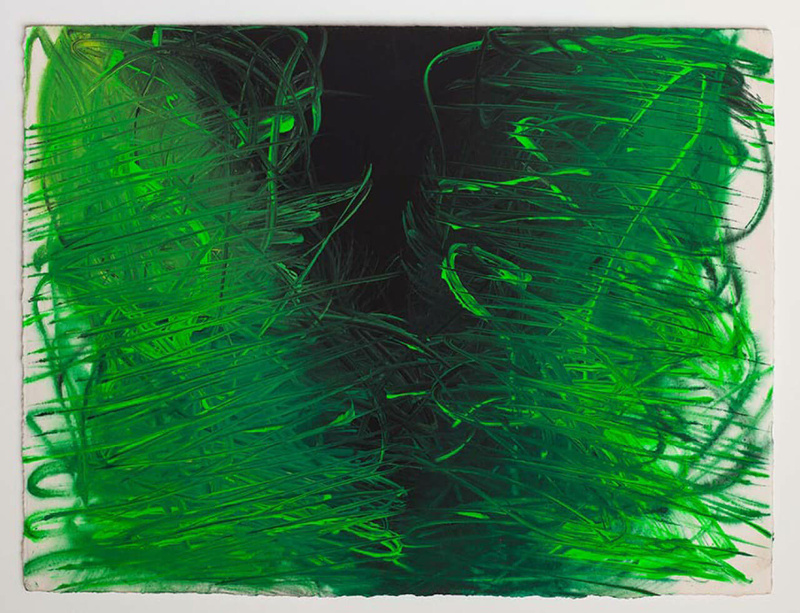 This year at Art Basel Hong Kong, Lisson Gallery presents a curated booth of paintings by 11 of its artists including historical works by Art & Language, Lee Ufan and John Latham, whose work is also included in the fair’s official film programme. The experimental abstractions of Jason Martin will also be on display at the stand, ranging from darkly brooding oils formed of grand dragged and scraped gestures, to highly polished cast metal works, sculpted from modeller’s paste before being transformed, alchemically, into highly sculpted paintings. Exploring this theme of expanded painting, the gallery will also show an entirely new series of intensely coloured gouache drawings on paper by Anish Kapoor from 2013, the turbulent surfaces of which provide visual and emotional counterpoints to one of the artist’s wall-hung steel sculptures, which itself plays with pictorial, painterly space through its innovative use of a two-tone mirrored surface. A pair of works taken from The China Painters series of 2008 by Christian Jankowski pays tribute to the oil painting workshops of Dafen, a suburb of Shenzhen well-known for its inexpensive reproductions of famous paintings. Jankowski invited many of its artisans to populate the as-yet unfinished Dafen Art Museum with their own fantasy art works, some imparting criticism of their trade, while others confronted political topics in their first ever original paintings. Liu Xiaodong, subject of a major exhibition of his photography at Shanghai’s Minsheng Art Museum opening this week (‘Childhood Friends Getting Fat – Moving Image of Liu Xiaodong 1984–2014’, 16 May – 31 July), is predominantly known as a painter of modern life and global issues. He produced a compelling composite portrait of London using painting, photography and film in his first solo show at Lisson Gallery last autumn. British artist Ryan Gander, who is currently in residence at the Singapore Tyler Print Institute, is represented by a series of conceptual portraits featuring 41 circular glass disks, used as palettes to mix the colours for each painting.